September 5 – Road to the World Cup: USA National Team, Women’s Basketball at the Colonial Life Arena. Here is a chance to cheer on our National Women’s Basketball Team led by our own USC Women’s Basketball Head Coach, Dawn Staley, with this fun intrasquad exhibition contest, as they get ready to head to the World Cup, so come out and root the on. For more information call (803) 576-9200 or visit https://www.coloniallifearena.com/events/detail/usa-basketball. September 5 – 9 – “Misery is Optional: Recollections of Recovery” at the Trustus Theatre. This production by Dewey Scott-Wiley and Christine Hellman is based on interviews with people who “found freedom from addiction” and gives insight into this disease that impacts 23 million Americans. For more information call (803) 254-9732 or visit http://trustus.org/event/misery-is-optional/. September 6 – Eddie Russel Bourbon Dinner at City Roots. Enjoy an evening of good food and drink with the master distiller of Wild Turkey Distillery who will have a fabulous 4-course meal for you while you enjoy tasting Wild Turkey and some of his reserved bourbons and ryes. For more information call (803) 553-2726 or visit https://www.f2tproductions.com/new-events/. September 6 – Storytime in the Garden in the gazebo of the Hampton-Preston Mansion’s Henry Michael Powell Memorial Children’s Garden. Here is a chance for children to enjoy storytime in a fun outdoor setting, followed by old historic games. For more information call (803) 252-1770 ext. 23 or visit https://www.historiccolumbia.org/events/2018/2018-09/storytime-gardens. September 6 – “The Fantastic Shakers” at the Icehouse Amphitheater. Enjoy an evening out with free entertainment, with food and beverages available as well as activities for the kids. For more information call (803) 358-7275 or visit http://icehouseamphitheater.com/events/. September 6 – “Lil Debbie Performing Live” in the Fountain Room of the Tapp’s Art Center. Come out and enjoy an evening of rap music by this former model and fashion designer. For more information call (803) 988-0013 or visit https://www.tappsartscenter.com/event/lil-debbie-performing-live/. September 6 – “Blue Heart” at the Nickelodeon Theater. This is a story about those who are fighting to save the largest undammed river in Europe and the catastrophic impact it would have if they fail. For more information call (803) 254-8234 or visit http://nickelodeon.org/films/blue-heart/. September 6 – Wild Mayhem Golf Tournament at the Cobblestone Park Golf Club in Blythewood. Proceeds for this golf tournament that will include an auction and raffle will benefit Happy Wheels, which offers each child admitted to the MUSC Children’s Hospital a chosen toy/game, and the South Carolina Autism Society to help those diagnosed and their families, especially now with the rising rate of children diagnosed with autism increasing to 1 in 45. For more information visit http://www.wildmayhem.com/. 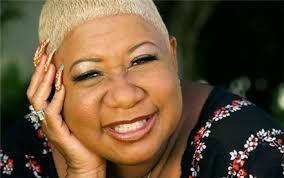 September 6 – 9 – “Luenell” at the Comedy House. You will not want to miss this amazingly talented comedian, so plan for a night out filled with fun and laughter! For more information call (803) 798-9898 or visit https://comedyhouse.us/comedy-calendar/. September 7 – Pregame Oktoberfest at City Roots. Enjoy an evening of brews and fun in celebration of the new football season and the upcoming game between USC and Georgia. For more information call (803) 553-2726 or visit https://www.f2tproductions.com/new-events/. September 7 – Homeschool Friday: South Carolina Sports History at the Robert Mills House Gift Shop. For those who homeschool their kids, here is a chance to get them out of the house and this event will teach them a little about the history of sports in the State from football to horse racing and it’s impact on the State. For more information call (803) 252-1770 ext. 26 or visit https://www.historiccolumbia.org/events/2018/2018-09/homeschool-friday-south-carolina-sports-history. September 7 – Paddle and Pint at Saluda Shoals Park. End your week with a relaxing paddle down the beautiful Saluda River followed by sampling of craft beers on the River Overlook. For more information call (803) 772-1228 or visit https://www.icrc.net/event/paddle-and-pint. September 7 – “Mike Super” at the Harbison Theatre. You will be absolutely amazed by the extreme talents of this master illusionist so you won’t want to miss the chance to see this show! For more information call (803) 407-5011 or visit https://www.harbisontheatre.org/tickets-productions/mike-super. September 7 – “Jon Langston” at the Tin Roof & The Senate in the Vista. Who doesn’t enjoy an outdoor concert, so come out for what is sure to be an evening of fun! For more information call (803) 771-1551 or visit https://www.tinroofcolumbia.com/calendar?month=9. September 7 – 8 – The Big Grab Yard Sale from Blythewood to Ridgeway to Winnsboro. This 50 mile long yard sale will give you an opportunity to find good deals on some great items while enjoying a day in the beautiful outdoors and visiting some of the small towns in the area. For more information visit http://www.biggrabyardsale.com/. September 8 – The Great Inflatable Race at Saluda Shoals Park. This fun event is for kids of all ages with proceeds to benefit Outreach for Children’s Cancer and Lighthouse for Life which helps victims of human trafficking overcome their trauma. For more information visit https://www.thegreatinflatablerace.com/Columbia. September 8 – Increase the Value of Your Home – Plant a Tree Workshop at Wingard’s Nursery. At this event you’ll learn how to increase shade, help the environment, and enhance curb appeal, with guidance on choosing the right tree for your yard. For more information call (803) 359-9091 or visit https://wingardsmarket.com/product/increase-the-value-of-your-home-plant-a-tree/. September 8 – Garden Workshop: Propagating from your Garden at the Siebels House on Richland Street. Learn the art of propagation from Historic Columbia’s horticulturists. For more information call (803) 252-1770 ext. 23 or visit https://www.historiccolumbia.org/events/2018/2018-09/garden-workshop-propagating-your-garden. September 8 – Sewing Basics at the Columbia Art Center. This is an informal class for you to obtain assistance with a project you with to start or are already working on, so bring your machine and your project to the class. For more information call (803) 545-3093 or visit https://www.columbiasc.gov/depts/parks-recreation/September%202018%20Workshops%20p%201.pdf. September 8 – Martha’s Market at Union United Methodist Church in Irmo. It’s not too soon to start your Christmas holiday shopping and with over 70 vendors and craftsmen, you are sure to find something! For more information call (843) 737-1741 or visit https://www.facebook.com/marthasmarketuumcirmo/. September 8 – “Corey Smith” at the Tin Roof. One of Columbia’s favorite musicians is back to give you a great show! For more information call (803) 252-9392 or visit http://www.thesenatecolumbia.com/. September 9 – “Shooter Jennings” at The Senate at the Tin Roof. If you enjoy Southern Rock, this band will be right up your alley, so be sure to check them out! For more information call (803) 252-9392 or visit http://www.thesenatecolumbia.com/. September 9 – Main Street Civil Rights Walking Tour meeting at the African American historical monument on the State House grounds. Take a tour of the area and learn about the impact of Civil Rights on Columbia. For more information call (803) 531-5065 or visit http://columbiasc63.com/category/events/. September 9 – Second Sunday Stroll: University Hill meeting at The Inn at USC on Pendleton Street. Take a guided walking tour of the University Hill neighborhood as you learn about its creation and how it has been impacted by the Universities eastward expansion. For more information call (803) 252-1770 ext. 23 or visit https://www.historiccolumbia.org/events/2018/2018-09/second-sunday-stroll-university-hill. September 9 – “Nick Cannon Presents: Wild ‘N Out Live” at the Colonial Life Arena. This event will include cast members from Wild ‘N Out, with live audience interaction where you get to participate in the most popular game segments and live music by some of today’s most popular hip hop stars. For more information call (803) 576-9200 or visit https://www.coloniallifearena.com/events/detail/nick-cannon-presents-wild-n-out-live. September 10 – September Harvest Dinner at City Roots. Come enjoy a 4-course farm to table meal prepared by the executive chef and owner of Bourbon who will provide you with a meal planned for the menu of his new restaurant, Black Rooser, planned for 2019, with the event also including a complimentary cocktail by Bourbon and wine pairings by Advintage. For more information call (803) 553-2726 or visit https://www.f2tproductions.com/new-events/2018/9/10/september-harvest-dinner. September 10 – 14 – Midlands Area Senior Games at various recreational facilities around Richland County. This event for individuals over 50 years of age or older with a variety of competitions to include archery, swimming, track & field, pickleball, bingo, billiards, and so much more so come out and support your favorite contender! For more information call (803) 741-7272 or visit http://richlandcountyrecreation.com/31st-annual-midlands-area-senior-games/. September 11 – Songversation Presents Singer/Songwriter “Bob Dead” in the Skyline Room of the Tapp’s Art Center. Come out and enjoy an evening of music and story with this talented artist. For more information call (803) 988-0013 or visit https://www.tappsartscenter.com/event/songversation-presents-bob-dead/. September 11 – “Bones of Contention” at the Nickelodeon Theater. Learn the story of the Franco regime and the 120,000 victims that are hidden beneath trees lining roadways all across Spain. For more information call (803) 254-8234 or visit http://nickelodeon.org/films/bones-of-contention/. September 11 – Run for Our Troops 5K at the W.M Rish Riverwalk Park and Amphitheater in West Columbia. This event is a memorial to those who lost their lives on 9/11/01 with proceeds benefiting our local military veterans and first responders coping with physical or emotional injuries as a result of their service to our nation. For more information call (803) 814-5858 or visit https://www.runforourtroops.com/. September 12 – “Not A Witch” at the Nickelodeon Theater. This story about an 8 year old girl who shows up alone in a Zimbabwe village is accused of being a witch and put on trial. For more information call (803) 254-8234 or visit http://nickelodeon.org/films/i-am-not-a-witch/. September 13 – “Men of Distinction” at the Ice House Amphitheater. Enjoy a break from your work week with an evening out with music and relaxation! For more information call (803) 358-7275 or visit http://icehouseamphitheater.com/events/. September 13 – “ZOSO: The Ultimate Led Zepplin Experience” at The Senate at the Tin Roof. All you Zepplin fans will want to be sure to come out for an evening of reminiscing with this talented tribute band! For more information call (803) 252-9392 or visit http://www.thesenatecolumbia.com/. September 14 – “Resurrection: The Ultimate Journey Experience” at the Icehouse Amphitheater. What better way to end your work week than with the much loved songs of this historical band that will have you singing along to every tune. For more information call (803) 358-7275 or visit http://icehouseamphitheater.com/events/. September 14 – “Rainbow Kitten Surprise – The Friend, Love, Freefall Tour” at The Senate at the Tin Roof. This amazing eclectic group will surprise you with their talent! For more information call (803) 252-9392 or visit http://www.thesenatecolumbia.com/. September 14 – Stephen Siller Tunnel to Towers 5K Run & Walk at the Columbia Metropolitan Convention Center. This event was created to honor this New York firefighter who lost his life during 9/11 and will benefit first responders and service members in our area. For more information send an email to jaime@eggplantevents.com or visit http://t2trunsc.org/. September 14 – 16 – “Paw Patrol” at the Colonial Life Arena. Be sure to make plans for what is sure to be a great show your kids won’t soon forget! For more information call (803) 576-9200 or visit https://www.coloniallifearena.com/events/detail/paw-patrol-live-race-to-the-rescue. September 15 – Dangerous Curves Fashion Show in the Skyline Room of the Tapp’s Art Center. The Big Beautiful Diva’s are prepared to show you what they’ve got! For more information call (803) 988-0013 or visit https://www.tappsartscenter.com/event/dangerous-curves-ahead-fashion-show/. September 15 – Splash and Dash Adventure Race at Saluda Shoals Park. Teams with two or three members will run for 2 miles, bike for 4 miles, and paddle 1 mile so grab your adventurous friends and sign up to participate! For more information call (803) 772-1228 or visit https://www.icrc.net/event/splash-and-dash-adventure-race. September 15 – “Tony Howards Motown Revue” at the Harbison Theatre. Spend your evening enjoying songs by Motowns favorites, such as The Temptations, Gladys Knight, Tina Turner, KC and the Sunshine Band, and more! For more information call (803) 407-5011 or visit https://www.harbisontheatre.org/tickets-productions/tony-howards-motown-revue. September 15 – Meador Acres Fall Festival at Meador Acres on Fish Hatchery Road in Pelion. This event is on a farm where chestnuts are raised and sold, as well as other farm items, with the event including a variety of vendors, the chance to learn about honey bees, visit with the ducks and chickens, with food available, and lots of fun activities for the big and little kids! For more information call (803) 894-6191 or visit https://meadoracreschestnuts.com/. September 16 – Soda City Duck Race at the West Columbia Riverwalk Park and Amphitheater. Adopt a duck and see if you can win one of the top 3 prizes ranging from $2500 to $500 with proceeds to benefit Transitions Homeless Shelter. 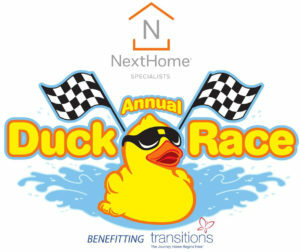 For more information visit http://www.duckrace.com/columbia. September 16 – “The Last Movie” at the Nickelodeon Theater. This story co-written by Dennis Hopper tells the story of a production filmed in Peru, and the main characters his decision (Hopper) to try to obtain redemption in the isolation of Peru and a prostitute when locals decide to recreate the production with “Hopper” as the sacrificial lamb. For more information call (803) 254-8234 or visit http://nickelodeon.org/films/the-last-movie/. September 16 – “Decendents” with guests “A Wilhelm Scream & Pears” at The Senate at the Tin Roof. All you heavy metal fans will certainly enjoy this show! For more information call (803) 252-9392 or visit http://www.thesenatecolumbia.com/. September 16 – Camp Cole 5K Trail Run & Walk at Camp Cole at 10150 Garners Ferry Road. This 1st annual event will help get this facility up and running which will benefit an overnight camp and retreat for children and adults with disabilities, illnesses, and other life challenges. For more information send an email to margaretdeans@campcole.org or visit https://www.campcole.org/blog/1st-annual-camp-cole-5k-trail-run-and-walk/. September 18 – Writer’s Block Poetry Show at the Tapp’s Art Center. If you enjoy poetry or are looking for a venue to present your own, come on out and share what you’ve put together. For more information call (803) 988-0013 or visit https://www.tappsartscenter.com/event/6382/. September 18 – “Yours In Sisterhood” at the Nickelodeon Theater. A filmmaking team traveled across America presenting women with a 1970’s letter written by Ms. Magazine and used their responses to compare responses from the 70’s to today. For more information call (803) 254-8234 or visit http://nickelodeon.org/films/yours-in-sisterhood/. September 18 – “Neck Deep – The Peace and The Panic USA Tour 2” at The Senate at the Tin Roof. This Welsh band identified as pop punk will be a band that everyone will enjoy with their songs. 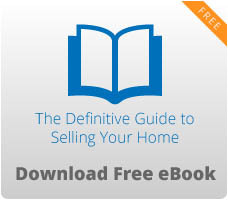 For more information call (803) 252-9392 or visit http://www.thesenatecolumbia.com/.